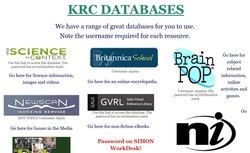 The KRC offers you and your students a range of physical and digital resources. ​We have an extensive recreational reading collection. Visit us at the KRC from 8.00-5.00 Mon to Thurs, 8.00-4.00 on Friday. Book your class into the KRC. Teacher Librarian support, print and online resources, desktop computers, printers and a maker space. We also have a great range of Non-Fiction books. We store all the external practice exams and SACs on SIMON. Watch this video to see how to access them. We create tubs of resources to support your research assignments. This page has links to our database subscriptions. All the resources listed on the opposite page can be accessed here. Use your school login details to access Campion Myconnect online. Textbooks for Years 7 - 10 are accessed through Campion MyConnect. Books can either be downloaded and read through the eReader or they can be accessed online. 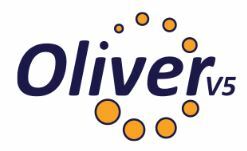 To use interactive resources choose the online link. The KRC has created circulation lists so you can access to the print magazines. Check out our selection here and sign up. We also have a range of eMagazines that you can access anytime here. ​The program aims to develop a reading culture among adolescent boys to improve their Literacy comprehension strategies and engagement with texts.